What can the banking industry learn from Amazon and its attitude to making business easier and more consumer-like? When online retailer Amazon launched in 1994 it would have been hard to believe that it would overtake US and global fast food chain McDonald's in terms of revenue. Like Ford in the first half of the 20th century, McDonald's, certainly from the 1980s onwards, became the poster business for US economic growth. Its influence was widespread and lead to suggestions in the 1993 book The McDonaldization of Society by sociologist George Ritzer that it in fact impacted the very fabric of society. Today, the baton has been passed to Amazon. With five-times the revenue of McDonald's and nearly the same number of staff, Amazon has become the modern model of business success. It encapsulates not just the digital age, but it cleverly traverses the divide between technology and customer experience. The key to Amazon is simplicity. It is essentially a technology company. It uses technology to solve problems, to smooth over anxieties and to a large extent, eradicate unnecessary processes. Ultimately it is extremely user friendly and it’s always pushing the boundaries in its pursuit of improving customer experience. Using often complex technology to make even small improvements is part and parcel of its raison d’etre. So what can the banking industry learn from this? It’s worth noting here that consumer banking is already several steps ahead of the commercial sector. While consumers demand and expect apps, quick, mobile payments and flexibility in terms of managing accounts, commercial customers have, on the whole been less well serviced, at least digitally. This is where commercial banks should be looking at Amazon. You only have to look at AWS, Amazon’s web services infrastructure service to realise how Amazon thinks. It solved its own problem of fast growth and demand for a robust computing by building its own cloud-based computing platform. It’s now a market-leading cloud product. Commercial banks have to identify the problems and use technology to solve them. Flexible, easily managed commercial cards, fully managed digital payments, expenses management and recuperation are all areas where commercial banking could do better. Traditionally this has not been an issue but consumer technology is changing the way in which business workers are looking at their commercial experiences. Millennials are driving this and Gen Z is now entering the workplace, the first, truly digital native generation. The result is that customer experience becomes increasingly crucial. The expectancy is changing but businesses still need to retain control and manage accountability. By becoming or partnering with a technology business, commercial banks can be the bridge here, offering solutions that meet the demands for flexibility but do not compromise in terms of manageability. 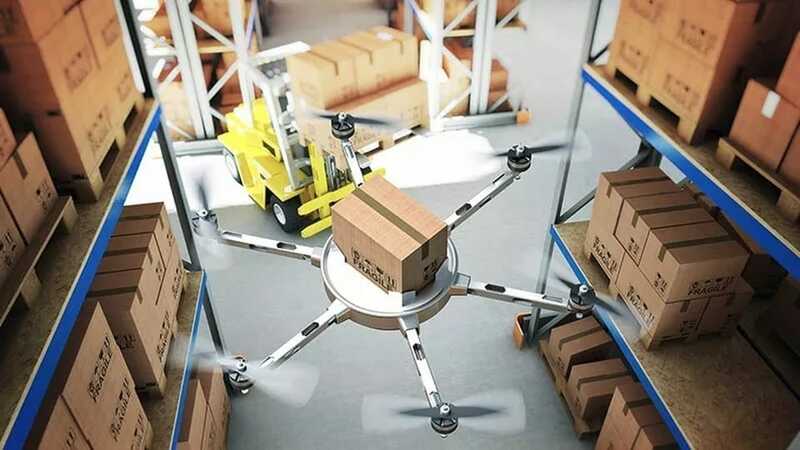 Like Amazon’s pursuit of fast delivery through drones, it’s one click buy and marketplace, commercial banks can also break the mould and embrace technology to solve problems and improve customer experience. While the impetus to diversification may be different, there are lessons to be learned in using technology to make bold changes for the benefit of the user. This is the Amazon message: customer experience always first, using technology to make it happen. Banks could have a worse mentor.